Hotchkis Strut Rod - Pann Auto Performance - San Diego largest aftermarket automotive performance parts - What do you drive? Dramatically improve the cornering performance, traction, and steering response of your vehicle with adjustable Hotchkis Strut Rods. 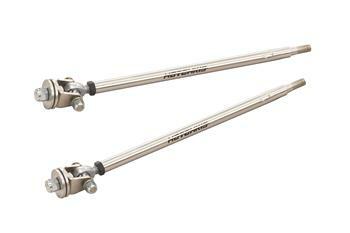 Designed to positively locate the lower arm, these strut rods will improve responsiveness and driver control. The adjustable design features high articulation rod ends, CNC bent brackets, and lightweight TIG welded tubing. The part is finished off in a lustrous, “nickel look” powder coated finish, blending form and function.